Understanding the different massage therapies available and choosing the right one for your injury or pain rehabilitation can be confusing. Whilst your therapist will and should guide you in this direction when you have your initial consultation, having an understanding of the different therapies available and what will help you the most is definitely good to know. Deep tissue massage therapy is similar to a Swedish massage, but the deeper pressure used is beneficial in relieving chronic muscle tension by focusing on the deepest layers of muscle tissue, tendons and fascia (the protective layer surrounding muscles, bones and joints). This type of massage is often used to treat people who are recovering from accidents, and for those suffering with sports injuries as it increases blood circulation in muscles that are underused, which then relieves the chronic muscle tension throughout the body. It can also break down scar tissue and “knots” deep in the muscles. Cupping therapy is an ancient form of alternative medicine in which a therapist puts special cups on your skin for a few minutes to create suction. People get it for many purposes, including to help with pain, inflammation, blood flow, relaxation and well-being, improves range of motion in any joint and as a type of deep-tissue massage. At Lifestyle Therapies we use a modern version of cupping uses a rubber pump instead of fire to create the vacuum inside the cup. This is to ensure safety for the clinic and the client. During this treatment the cups will be applied to the areas of tight muscle tissue the cups and moved periodically depending on the feedback from the patient and the reaction of the body to the treatment. After cupping it is important to remember that after the treatment discolouration of the skin is to be expected where the cups are applied depending of the tension of the muscle tissue. Scar tissue massage is a common method used to help remodel scar tissue that has developed in injured tissue. This treatment is used after surgery, fracture, or soft tissue injuries like sprains and strains. Scar massage is also known as scar-mobilization. 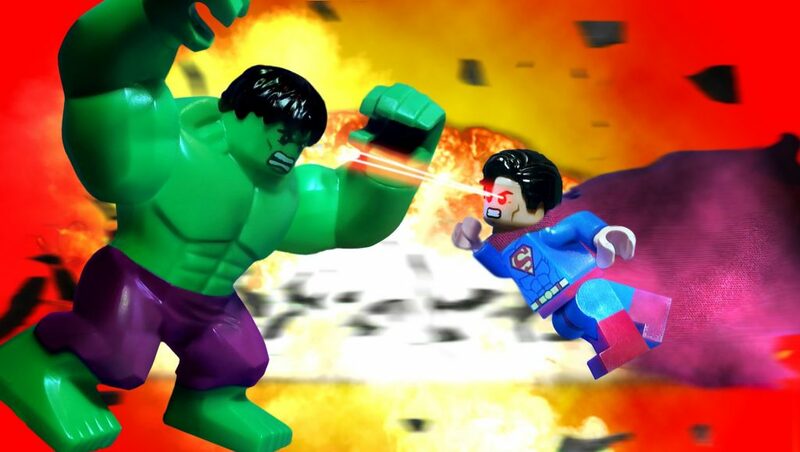 Scar tissue grows in the body as a normal response to injury. The breakdown or realignment of collagen fibres is a physiological effect of massage to break down scar tissue. Collagen fibres are fibrous connective tissues that make up scar tissue and are used to repair damaged tissues resulting in the formation of adhesions. Management of scar tissue through scar massage, stretching, and exercise is essential to ensure proper remodelling of the scar takes place and normal mobility and function are restored. This type of massage is defined as the mobilisation of soft tissue (such as muscle, fascia and body fluids) to restore normal systemic and biomechanical/functional use. It can be used to assist in the treatment of most musculo-skeletal and associated problems, and regular Therapeutic Massage Therapy results in improved circulatory, lymphatic and neurological functioning. Therapeutic Massage can be stimulating or soothing depending on the technique, depth and speed. It is both safe and effective and helps to create balance and harmony from within and given the high levels of stress that we are facing in this day and age, therapeutic massage therapy is one of the best options to improving your overall wellbeing. Sports massage can be used in two ways: to help prevent sports injuries or to help recover from sports injuries. Soft tissue is connective tissue that has not hardened into bone and cartilage; it includes skin, muscles, tendons, ligaments and fascia (a form of connective tissue that lines and ensheathes the other soft tissues). Sports massage is designed to assist in correcting problems and imbalances in soft tissue that are caused from repetitive and strenuous physical activity and trauma. The application of sports massage, prior to and after exercise, may enhance performance, aid recovery and prevent injury. The result is a tailored, holistic, approach promising appropriate sport massage for every individual, with a particular emphasis on education, understanding and movement re-education. You will walk out better than you walked in! When the myofascia (this is a cover that goes around your muscles) is stressed from overuse or trauma it can tear and adhear together. These adhesions are called “trigger points (Knots)” and can prevent the muscles from working well. Trigger points lead to an increase in muscle stiffness and tenderness and a decrease in range-of-motion. In addition, the discomfort from trigger points can radiate from the adhesion. Trigger point therapy specifically targets and releases these knots throughout the whole body. This can promote pain relief and improve the way you move. Neuromuscular therapy is a specialized form of deep tissue massage in which digital pressure and friction are used to release areas of strain in the muscle. These areas of strain are called tender or trigger points and are the causes of muscular pain symptoms. Lower back pain, upper back pain, piriformis syndrome which is a form of sciatica, hip pain, headaches, plantar fasciitis, calf cramps, tendonitis, knee pain, iliotibial band friction syndrome. A full body massage therapy session is a fusion of Integrated Myofascial Release, Sports Massage & Sauna Therapy which will guarantee you leaving feeling like you have a brand new body. Habitual holding patterns can create long term dysfunction in the body which leaves you feeling chronic long-term pain. Your full body check-up will address any existing problem areas that you may be experiencing, and help you understand the things you didn’t know about your body as well as preventing any on-going/future issues. A hand massage is massage that specifically targets the muscles in the hands. A form of reflexology in which parts of the hands are rubbed with the fingers, knuckles and blunt or sharp objects, with the intent of stimulating nerve endings for various organs believed to be present in the hands (as they are believed to be present in the feet). It can be therapeutic (relaxing) or it can be deep tissue it depends on what you would like. Foot massage has been practiced in many cultures for centuries to promote health and well-being. A foot massage is a massage that specifically targets the muscles in the feet, it can be therapeutic (relaxing) or it can be deep tissue depending on your preferences. Both simple foot massage and reflexology can offer a surprising number of health benefits including the following: Relaxation and Stress Relief. 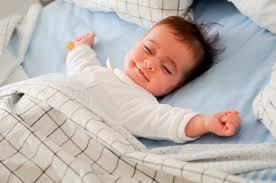 Better Sleep. Improved Circulation. Lower Blood Pressure. Injury Prevention and Faster Recovery. Alleviation of Headaches and Migraines. Decreased Feelings of Anxiety. For more information about these therapies or to book an appointment at Lifestyle Therapies please feel free to get in contact today to for your consultation and initial therapy session. Inevitably, when we undertake a sports activity, whether for social, fitness or as a professional athlete, injuries are likely to occur. Particularly in relation to professional athletes, the likelihood of injury is increased due to the excessive wear and tear associated with the demands of many competitive sports. In addition, the types of injuries will also differ depending on the sport you are involved in. Sports injuries include damage to the musculoskeletal system, i.e. ; the bones, tissues, muscles and cartilage. It’s also important to note that every injury is different, and each person heals and recovers according to extent of the injury that has occurred. Some areas of your body will incur more pressure than others. For example, footballers are likely to have more injuries associated with their legs and feet, due to those areas of the body dominating the effort used for that sport. The most serious sports injuries include damage to the lower back, breaks and strains to bones, tissues and muscles in the legs and arms and potentially head injuries that can affect, vision and balance among other things. 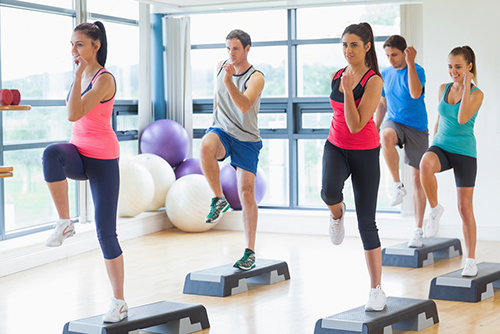 Undertaking an exercise programme to maintain resilience, strength, flexibility and stability, can help you to recover quickly after an injury occurs and help to get you back to your sports activity sooner rather than later. However, when a serious and debilitating injury occurs, a robust rehabilitation programme will be required to help you get back to full fitness before any sporting activity can resume. Rehabilitation is required to allow the injured tissues to recover in a controlled and supervised manner and because it takes time for each injury to heal, getting the guidance and support of an experienced sports therapist is essential to ensuring that your body fully recovers. Your therapist will work with you to identify the cause of the injury and create a treatment plan to prevent future injuries. He or she will provide you with a rehabilitation programme that includes exercises and massage therapy to target the areas affected and ensure a safe and effective recovery. The programme will be specifically tailored to your individual requirements and abilities, to ensure that it works for you. Sports therapists are professionally trained to specifically deal with sports injury recovery and rehabilitation. They have extensive training in the musculoskeletal system and work closely with athletes to assess muscle imbalance, range of motion as well as the functional requirements of each sport. Your sports therapist will develop a plan by evaluating and identifying the most appropriate programme to focus on the best treatment for your needs. The exercise programme will consist of stretching to improve mobility and exercises that will improve strength, with the overall goal of reducing pain and improving functionality as soon as possible. In addition to the exercises, ensuring that you get enough rest and relaxation which is also an important part of the recovery process. So, your sports therapist will include massage therapy sessions within your programme to aid with this element of your rehabilitation. Ideally, it would be great to play your sport and not get injured at all, but when it does happen employing a robust rehabilitation programme is required to get you back to full fitness. Left unattended, the damage may get worse and take longer to heal. Your sports therapist not only aids in the treatment of injuries, but also can help to create programmes designed to prevent or lessen athletic injuries too, regardless of whether you are a professional athlete or undertake recreational or fitness sporting activities. 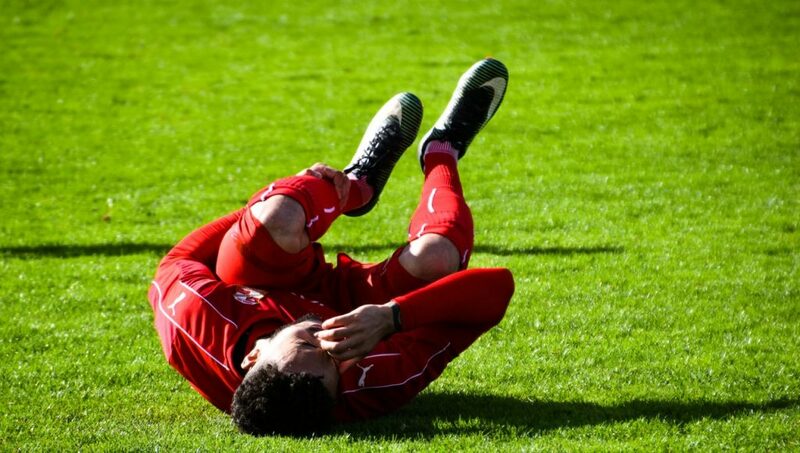 You don’t have to wait until you are injured to consult with a sports therapist. We are here to help you improve your athletic performance and minimize injury. 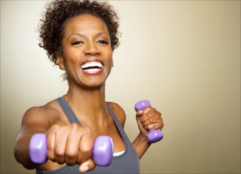 Focusing on a preventive and proactive approach is important to maintaining your sporting activity. After all, prevention is better than cure. At Lifestyle Therapies, our aim is to get you the best results for your sporting career or activity and to help you recover as quickly as possible when any injuries do occur. So, you can rely on us to be professional and focused on you and your individual needs. If you would like to schedule an evaluation with us so that we can design a rehabilitation or preventative programme for you, please get in touch today. You may have heard about cupping therapy and or seen some people with the strange circle marks on their body and wondered what this ‘health and wellbeing craze’ is all about? In this blog I explain what it is, how it works, its origins and why it has become so popular over the last few years. What is this crazy craze? 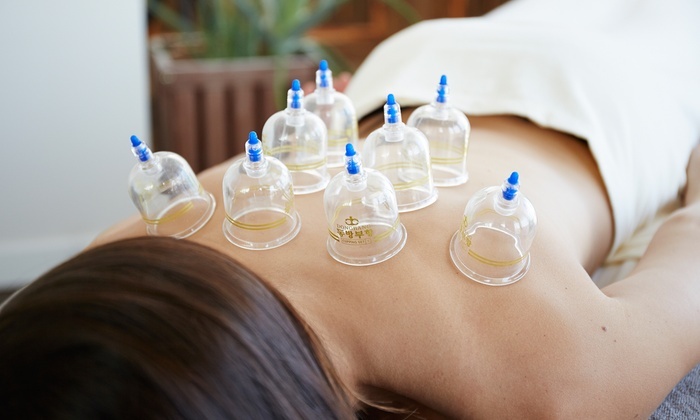 Basically, cupping therapy is a form of alternative medicine where a suction is created on the skin and is drawn each cup thereby creating a vacuum inside the cup in a specific area. The vacuum is created by either heating and then cooling the air in the cup, or by using a mechanical pump. The cup/s can be left on the skin anywhere between a few up to fifteen minutes and it can, among other things, help to treat different types of pain, muscle scar tissues or knots and swelling. Cupping generally creates a tight sensation where the cup is place and often clients will find this sensation relaxing and soothing. Depending on your individual comfort and the assessment of the problem for which you are being treated, cups may be moved around or left in place. One of the most common areas of the body to be cupped is the back, although cups work well on other areas, too such as the fleshier parts of your body like your thighs. Cupping treatment can cause your skin to temporarily turn red, blue or purple, especially if there is an injury or blockage in the area that is being cupped. This skin discoloration can last anywhere from a few days to a couple of weeks but it is rarely painful. Once the marks have cleared, the procedure can be repeated until the condition or ailment is resolved. There are different types of cupping; dry, wet and fire and the cups can come in different types of materials including glass or plastic (which are the most common); bamboo, copper or bronze. According to online research, the practice of cupping has been performed by individuals without any medical background for over 3,000 years – from as early as 3000 BC. The Ebers Papyrus, written c. 1550 BC and one of the oldest medical textbooks in the Western world, describes the Egyptians’ use of cupping, while mentioning similar practices employed by Saharan peoples. Eventually, cupping spread to ancient cultures in many countries of Europe and even the Americas and was widely used to treat common colds and chest infections, mostly in the form of ‘wet cupping’ also known as Artificial Leeching (the therapist or practitioner makes tiny incisions in the skin to dredge the blood or poisons out). By the late 1800’s, cupping began to lessen in popularity and was discredited by newly established scientific methods of medicine that focused on treating the inside of the body as opposed to the outside. As cupping was a skin treatment, it was inconsistent with the new scientific medicine. A wealth of celebrities including Olympic swimming gold medallist Michael Phelps, US gymnast Alex Naddour, boxer Anthony Joshua, reality star Kim Kardashian, actresses Gwyneth Paltrow and Jennifer Aniston, fashion icon Victoria Beckham and more have been reported to have used the therapy for various treatments of aches and pains, so it’s not difficult to see why cupping has become popular again. Although there is limited research to confirm the effectiveness of this ancient therapy treatment, YouGov research finds that many people – in several cases a firm majority – remain positive about the effectiveness of alternative medicines. Even for treatments with no scientific or professional recognition, public opinion is divided at worst. I believe that doing your research and understanding what treatments are available, including alternative ones, is the only way that you can make an informed decision as to whether or not something is right for you. If you would like to find out more about the cupping or other treatments that I provide at Lifestyle Therapies and whether or not it would be beneficial for you, please get in contact. When we experience an injury or physical stress to our bodies, depending on the severity, it can be tempting to just use pain-killers and hope for the best! Unfortunately, some injuries if left unattended, can recur and become chronic if you don’t get the right treatment at the right time. Reduced mobility, lack of sleep, mental and physical stress, recurring and increasing pain to name just a few, are some of the ongoing symptoms you may experience in this instance. The different options available to help you overcome your injury can be wide and varied and this article aims to help you understand when an ongoing programme is required vs a one-off treatment. A deep tissue, therapeutic or sports massage therapy aims to alleviate any type of muscle stress you experience after exercising, participating in sport or if you have a labour-intensive job, that has caused a repetitive strain. These sessions, when implemented within a few days of the injury or pain occurring can really aid in relieving the stress that your muscles have experienced. Having regular massage treatments, can also aid generally in maintaining a healthy body and mind, reducing stress, maintaining mobility and aiding restful sleep. So, the benefits of taking care of your body in this way clearly allow you to remain focused and productive in your day to day life, which is something we all strive to achieve. Undertaking a therapy programme which will be a combination of massage and exercise is usually needed for severe injuries that have a detrimental effect on your mobility or ability to perform your job, sport, exercise or day-to-day tasks effectively. The programme will be designed and tailored to your specific injury, with a focus on targeting the core challenges that you experience from the injury, such as difficulty walking or weakness when using any of your limbs, recurring and/or increasing pain, inability to do your day-to-day job or perform everyday essential duties. Most programmes will include support for intervention, rehabilitation and improving performance to ensure that you’re needs, and goals are met by the end of the treatment programme. On average they can last anywhere from one to six months or more depending on the extent of your pain or injury and your therapist will guide you accordingly. It is always essential that you have a consultation with your therapist before your treatment or therapy begins, so that you understand the option being recommended and that you are happy with the expected outcomes. Most therapists offer a complimentary consultation when you book your treatment and this is a service that we also offer at Lifestyle Therapies because we want to ensure that you are fully aware of what we recommend and why we feel the treatment will be the most effective in aiding your recovery, rehabilitation and overall performance. If you have any questions or would like to book a consultation, please feel free to contact me today! There are several causes of back pain. Lower back pain is an exceptionally common condition in which an estimated half to three-quarters of the adult population will experience at least one memorable episode of back pain per year and up to 1 in 10 will develop chronic back pain. Acute back pain, which resolves within weeks, is typically attributed to the soft connective tissues. Once pain goes beyond three months, it is considered chronic and the physiology of this pain can become quite complex. Chronic back pain is typically attributed to traumatic or degenerative conditions, and may include a variety of physiologic, psychological, and social influences. If you’ve covered all tips and feel amazing, let me know, but if you’re still lost in pain and need further advice. Get in contact. Tight or stiff hamstrings is a common injury I find in my day to day work. Anyone with tight hamstrings can try stretching on a daily basis, but they will find that this has no effect. The usual way people determine their hamstring flexibility is whether they can bend from the hips and touch their toes. Most professionals will use this in their assessment to get a picture of how the body moves. For those that think that bending by the hips and touching their toes helps the hamstrings, they will find out later in this blog that this isn’t a true representation of hamstring flexibility. This is because far more muscle groups are involved than most think to accomplish this task. The reason it is beneficial for a professional to observe you touch your toes, is so that they can see exactly how your anterior and posterior chain functions. Simply put, to see how free your spine and hip interact; with this information you can see if the hamstrings relax to a reasonable length. After we assess the movements of the hip and spine we can then look into the diaphragm, pelvic floor and intercostal muscle, as these too have the ability to impact your toe-touch motion. If there is good motion in the hips, but not much thought the spine, then we expand the assessment to other areas of the body that help forward flexion. It is quite normal to feel very quick changes as a result, which is perceived as hamstring flexibility but actually could be an improvement in the muscles within the posterior chain. Through this, we then begin to see the full range of motion in the hamstring as previous muscles that can inhibit the hamstring flexibility are removed. If the Spinal movement is good and we can see the hamstring and hip movement is restricted, we will then move onto posterior knee stability. When you walk or run your hamstrings are used along with your gastrocnemius to stabilise the knee through an isometric contraction. This is to prevent the knee from bending as our foot hits the ground through initial contact. The stiffness in the hamstring is needed to help you absorb the force when the foot hits the ground and ensures the power you are generating in your hips is not wasted, and so, generates forward motion. If there is no stiffness in the hamstrings and gastrocnemius, then these two muscle groups start to work harder than they need to during low impact work and this then starts to create a feeling of constant tension, with a feeling that it always needs to be stretched. So, if this is occurring in your hamstrings and you’re trying to stretch, but no matter how long and how many times you do it you feel nothing is working, then most likely it is not your hamstrings at fault. If you treat the symptoms and not the cause, it will be harder for you to reach your desired results. Almost all sports will have you walking, running or jumping; if it’s not in the activity itself then it’s included in the warm up. This has the potential to turn into an achilles injury. It is not uncommon for people to think that they have an issue with the achilles tendon. However, it could in fact be a result of a different tissue in the area causing the problem such as a toe flexor or another muscle/tendon in the lower leg such as the tibialis posterior, both of which sit just in front of the achilles. 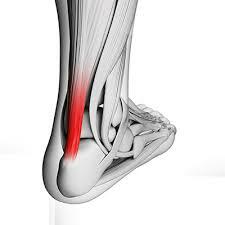 Achilles tendinopathy comes in two different types: mid portion tendinopathy or insertional tendinopathy. The difference between the two are simple. The mid portion tendinopathy sits above the attachment of the tendon. The Insertional tendinopathy sits at the calcaneus. Tendinopathy can be caused by a number of different factors. If we look at the causes of both types of an achilles injuries from a mechanical stress point of view, we get slightly different results. The research shows that mid portion tendinopathy is related to repetitive loading – the weight being applied to the tendon is too much and causes tissue damage. Insertional tendinopathy is related to the compression of the tendon against the Calcaneus – the compression occurs when the foot moves into dorsiflexion. The movement through these stages is not necessarily straightforward. It can move from reactive to degenerative and back again dependant on the loading placed on the tendon. In the reactive stage, we see a thickening and stiffening of the tendon in a response to the load in an attempt to cope with it and reduce the stress. In this stage the load has often been increased too quickly for the tendon to deal with. However, with rest and a reduction in the load, healing will allow occur. The degenerative stage happens with chronic overloading and is usually more common in the older athlete. In this stage we see further breakdown in the structure of the tendon and this is accompanied by cell death. In this state if it is left unresolved, it can result in tendon rupture. When it comes to managing and treating this type of injury, in all stages it comes down to managing the load placed on the tendon. In the reactive and early disrepair stages we simply want to reduce the stress that is causing the issue, by catching it fast enough and simply allowing it time to calm down.